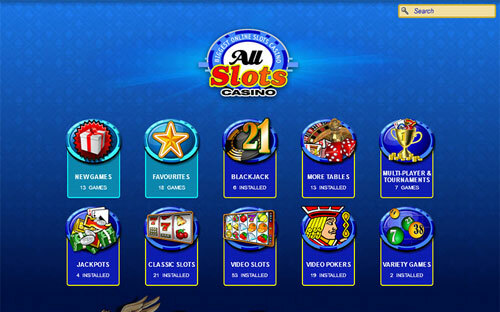 All Slots Online Casino has been around since 2001 and is known to be one of the top ten Microgaming casinos. All Slots is part of the Jackpot Factory Group, which has been operating several highly reputable online casinos for over a decade now. 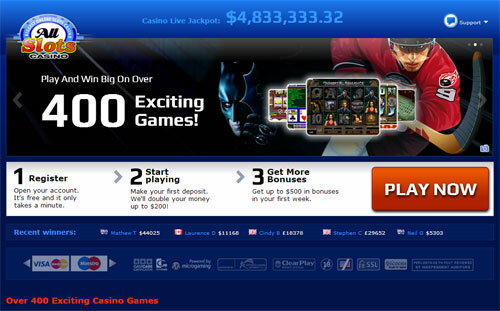 The casino has been accredited by Casinomeister, one of the leading online casino review sites. It is licensed in Malta and uses SSL encryption to protect players’ information and transactions. All Slots is certified as “Safe & Fair” by eCOGRA. The most recent eCOGRA audit shows a payout rate of 96.32% for all games. Numerous bonuses and promotions await new players at All Slots. You can get a £30 no deposit bonus, plus up to £500 free on your first four deposits. With the All Slots loyalty club, players are rewarded with comp points every time they play the casino’s games. UK players can make deposits and withdrawals by various means, like credit cards, ECO, Neteller, Skrill and Paysafecard. A mobile casino is available for players who have an iOS, Android or Blackberry mobile device. New players who sign up with the mobile casino can get an additional £10 no deposit bonus offer. With over 500 different games available, All Slots Online Casino has games for every type of online gambler. You can find table games, slots and many specialty games here. 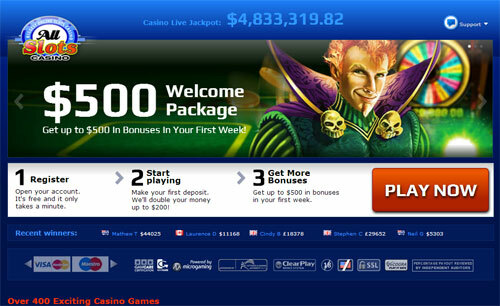 PC users can download the casino software, or play in their browser thanks to the instant play version of the casino. 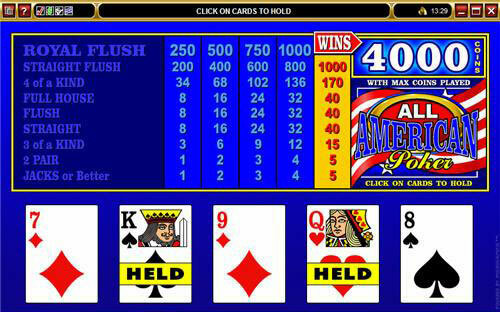 Games like blackjack and roulette are also available as live dealer games. The casino’s hottest new slot, Red Hot Devil, offers all players triple loyalty points for every wager made. These points can later be exchanged for casino credits.